Adding a new knob to an old piece of furniture is a quick and inexpensive way to totally change its look. Get a nostalgic looking knob to enhance the furniture’s old-fashioned appearance or get a colorful one, to upcycle a plain looking dresser or commode. 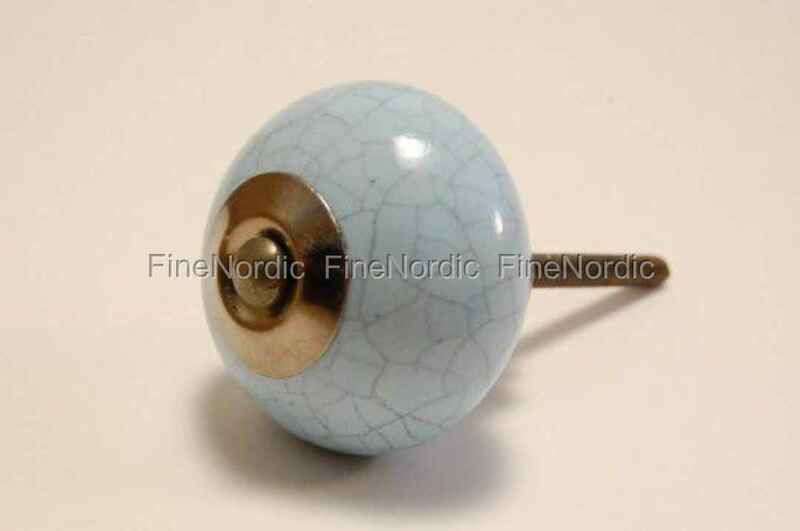 This La Finesse porcelain knob in pale blue can do both. Its beautiful pale blue color will look great on a white piece of furniture and it’s crackled look will add a nostalgic touch. Use it for your bedroom furniture, your kitchen cabinets or your child’s chest of drawers. It will look wonderful in any room and add that special little something to it. If you like this crackled design, then please have a look at all the other knobs we offer with the same style. You will find them plus a large selection of knobs here in our web shop.